Looking for a top transportation supplier satisfying your needs & desires? 8Rental fits everybody’s inquiries & proposes many types of vehicle hire with drivers in Budapest. Company’s aim – find reliable solutions for passengers to ensure better transportation conditions with chauffeurs. Chauffeurs from 8Rental’s company are acquainted with local roads. Coach hire with a driver in Budapest. A hired bus with a chauffeur in Budapest from 8Rental will make your trip to Budapest memorable & full of emotions. 8Rental’s experience in passenger’s transportation with drivers always attracts passengers from all over the world. It’s a convenient option to hire a coach for a big group of people, who wants to travel around Budapest. 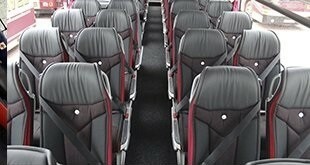 Coach is equipped with TV set, WC, kitchen & cozy seats. Group of business people decided to visit Budapest should apply for hire bus with driver option by 8Rental.com. 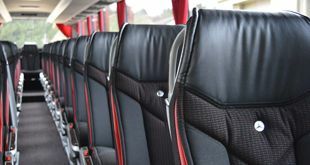 Business bus rental with driver in Budapest – combined high-level type of transportation for people who can afford It. Documents & driving licenses – the main thing checked while hiring drivers on work in 8Rental’s company. The company doesn’t hire chauffeurs without driving licenses. Every chauffeur had previous experience in passenger’s transportation & hire company. Coach chauffeured hire in Budapest variant offers many opportunities for those who chose it. 8Rental’s chauffeurs will drive clients to the chosen direction in a few minutes. Drivers can advise you places to visit in Budapest. 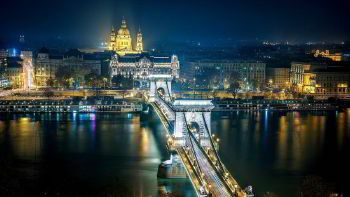 Budapest – situated in the center of Hungary serves as Budapest Metropolitan Area with 7,626 square kilometers. It is the main political, cultural, commercial, technical & industrial center of Hungary. 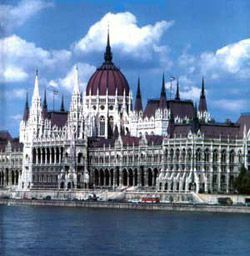 The city consists of three historically developed parts - Pest, Buda & Obuda, in January 1872 united in one city. With its charm, Budapest owes its picturesque countryside, beautiful nature & magnificent architecture. Here, the historical monuments of the ancient Roman province adjoin the medieval houses with baroque houses, churches of the 18th century - with modernist buildings, but palaces in the style of classicism - with modern hotels. Budapest offers its guests a rich cultural program: 200 museums & exhibition galleries, 40 theaters, the National Opera & 7 concert halls are waiting for visitors at any time of the year. In March, "Spring Festival" is held, intended primarily for music lovers, also, numerous opera & ballet performances, folklore performances & exhibitions. In June, along with the "Festival of Music," numerous events of "Festival of the Bridge" & "Danube Water Carnival" are held. In July & August, "Festival of Opera and Ballet" is held & in August "Jewish Summer Festival."